Hide deals from seller "Alex the Pianist"
Limit 10 per person. Valid on 1 hour of piano accompaniment. By appointment only. Promotional value expires 365 days after purchase. Advertising solicitation prohibited. Make your next event extra special with 13% off piano accompaniment from musician Alex Poyner, available withing 25 miles around Kenosha ($70 value). 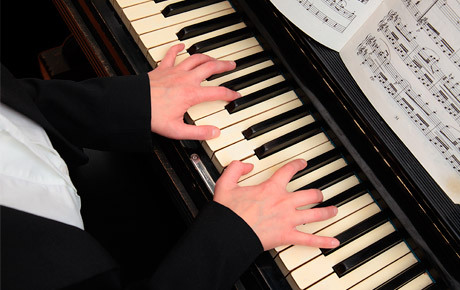 A talented piano player in Kenosha that performs at weddings and other special events.